Pre-lighten the hair to a level 9 using Brilliant Blonde and a suitable developer. Mix Metallic with 20 Vol developer. 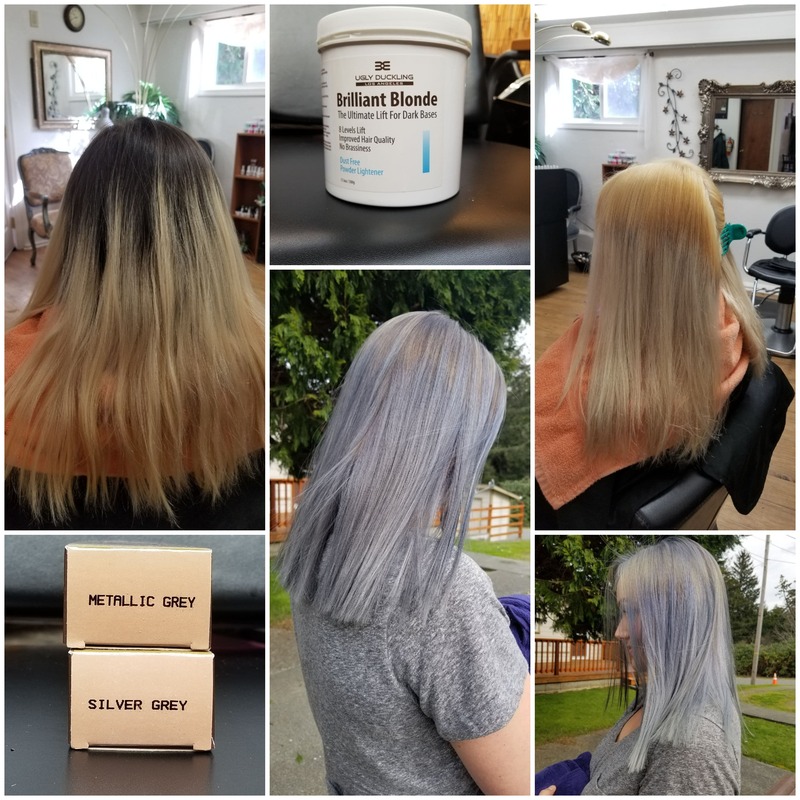 Metallic Grey is not a toner, it is a regular color and you need to process the color for the full time in order to get vivid results. Sections of Silver and Metallic Grey. [meta_description] => Metallic Grey. Argan oil ensures exceptional hair quality and shine. Extra large format 3.5 oz. (100 gms). Made in Europe.